OfteN TIMES people relate the term “food delivery” with fast food, unhealthy eating, and highly-processed items. However, there are restaurants that offer high-quality, healthy and gourmet dishes to go. Hu Kitchen is one of those restaurants, allowing customers in New York City to enjoy its amazing dishes without leaving the comfort of their own homes. Without a doubt, Hu Kitchen delivery is a service that anyone who is interested in clean and delicious eating should give a chance. With that in mind, the present article will go over its most important features. Located in the heart of New York City, Hu Kitchen has risen to prominence thanks to its gourmet, all-natural, high-quality food. Using only the best and natural, nutritious ingredients, Hu Kitchen’s dishes are refreshingly straightforward without sacrificing any amount of deliciousness. Apart from featuring great dishes for breakfast, lunch, and dinner, the restaurant offers its clientele a selection of juices, coffee,s and homemade chocolate as well. As if that wasn’t enough, Hu Kitchen has a mashbar that serves healthy and natural snacks all day long. In order to further benefit its customers, Hu Kitchen has set up a delightfully convenient delivery service. Apart from the standard phone call order, Hu Kitchen offers its clientele an efficient online ordering system right on their official website. Such a convenience makes the entire process easier and faster. Powered by ChowNow, Hu Kitchen’s online delivery system allows its users to choose food items, delivery times, and delivery addresses. Even though most of its deliveries are conducted by the restaurant itself, customers are also able to get Hu Kitchen’s food delivered through third-party companies such as GrubHub. At the present time, Hu Kitchen has only one location that delivers. The company opened two locations so far in 5th Avenue and 14th Street in New York City. Hu Kitchen delivers its delicious food items within an area of 50 blocks around its stores. In order to find out whether your home or office is located within Hu Kitchen’s delivery area, it’s possible to make a consultation via phone call. Additionally, customers can use the restaurant’s website, entering their address or Zip Code to get a confirmation that it’s within the range of the delivery area. In order to service its clientele as thoroughly as possible, Hu Kitchen delivery is available every day of the week. Because it offers every important meal in addition to all-day snacks, coffee, juices, and homemade chocolate, the establishment opens very early and closes late at night. During weekdays, the restaurant is open between 7 AM and 10 PM. During weekends, its operational hours are between 9 AM and 9 PM. Making itself as convenient as possible, Hu Kitchen delivery functions throughout these hours as well. Regarding delivery times, Hu Kitchen has two different modalities of service. On one hand, it allows customers to order home-delivered food for the moment. In this case, delivery may take up to one hour, depending on various factors such as the size of the order and the distance. On the other hand, it allows users to make orders to be delivered at a specific time. In this case, the order needs to be made with anticipation of at least one day. Thankfully, Hu Kitchen does not charge its customers for pickup orders. However, it does enforce a delivery fee of 1.95 dollars for each order. – Catering service: Another great service that is offered by Hu Kitchen is that of catering. Allowing users to book the service for small and medium gatherings, meetings, and parties, Hu Kitchen’s catering offers various combinations of its best and most popular dishes in large quantities. In order to do so, the restaurant asks customers to provide important information such as address, date and time, number of people that are being served, and specific dietary requirements. In addition to breakfast, lunch, and dinner meals, Hu Kitchen offers its unique mashbar menu for catering. This way, customers and their guests can choose between various delicious and fresh snacks. 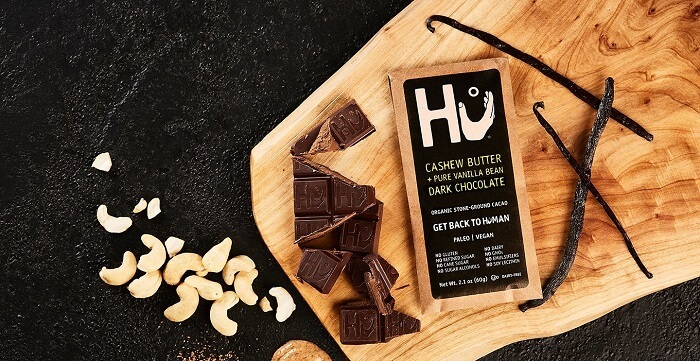 – Hu Chocolate: Apart from its delicious dishes, Hu Kitchen offers its clientele a variety of homemade all-natural chocolate-based products that are organic and healthy. – High-quality, low-processed natural food: Something that differentiates Hu Kitchen from other gourmet restaurants in New York is its philosophy regarding food. 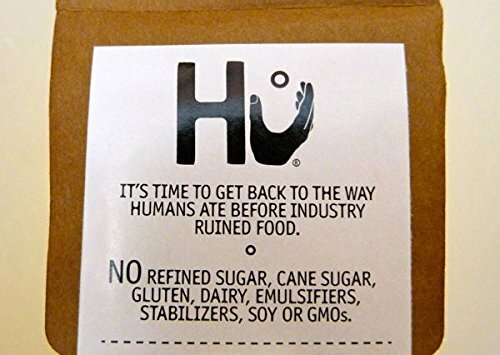 Apart from being high-quality, organic, and natural, all the ingredients that are used to make Hu Kitchen’s food items are barely processed in order to retain nutrients and avoid negative health-related consequences. – Vegan and special diets: In order to serve as many customers as possible, Hu Kitchen has made a point out of creating special menus and adjusting recipes to accommodate special dietary requirements. After going through this article, people will recognize the fantastic value that a service like Hu Kitchen home delivery provides. Without leaving the comfort of their home, its customers can enjoy a variety of health-oriented, natural and delicious dishes, drinks, and snacks. In addition, the restaurant offers exclusive homemade food items that use only high-quality ingredients. Without a doubt, people who are interested in clean, health-conscious, and low-processed food will get a kick out of this amazing food delivery service. Have you given Hu Kitchen’s delivery a try? If so, let us know all about it in the comment section! Hey Buddy!, I found this information for you: "Hu Kitchen Delivery 101: Areas, Hours, Fees". Here is the website link: https://all2door.com/hu-kitchen-delivery-101/. Thank you.